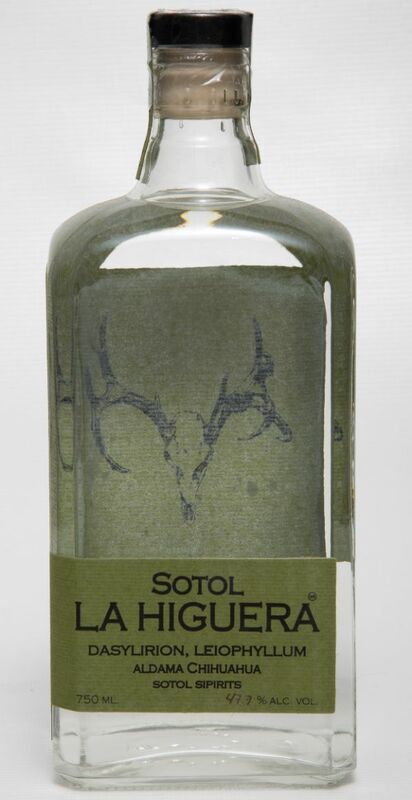 Sotol is a distilled spirit made from a plant that was once thought to be an agave, in those days it was referred to as a mezcal. Sotol is made from the dasylirian plant A.K.A. desert spoon. There are 16 varietals of sotol. The sotol plant is found throughout Mexico but the denomination of origin for sotol dictates that to be labeled a sotol it must come from 1 of 3 states: Chihuahua, Coahuila and Durango. The Leiophyllum has notes of wet soil and ash. The palate is meaty with notes of salami. The finish gets fruity with notes of peaches and bananas.